Pre-sale tickets to the WTA Finals 2017 will be available from 10 to 25 April for OCBC Cardmembers and 17 to 25 April for StarHub customers respectively. During the pre-sale, customers will be entitled to discounts of up to 25% for all tickets and packages with single session tickets starting from as low as S$21.60. This year, fans can continue to enjoy additional pre-sale discounts when they purchase either the All Singles Evening, Full Day or Season Passes. - All Singles Evening Passes, will allow fans to catch all eight qualified Singles players over two days. - Full Day Passes, will provide access to two sessions a day. - Season Passes, which give fans access to all 11 sessions. - Bulk purchases of 10 tickets or more are also eligible to enjoy 25% discounts on Group Bookings, with ticket prices starting from S$20.30. Corporates can also enjoy discounted rates for tickets, weekend and full-week packages to the Racquet Club, the VIP hospitality suite of WTA's crown jewel event. Tickets and packages can be purchased at wtafinals.com/tickets or at all Singapore Sports Hub sales channels via sportshub.com.sg/sportsh, phone +65 3158 7888 and Box Offices from 10am to 8pm from Monday to Saturdays, and 12pm to 8pm on Sundays and public holidays. Win a trip to England when you purchase a WTA Finals 2017 ticket! In addition to early-bird promotions, ticket-holders stand a chance to win more by participating in the search for the greatest fans of women's. The winners will walk away with a trip to England from 28 June to 2 July 2017. The grand prize includes tickets to the finals of the Aegon International Eastbourne and invites to the exclusive WTA Pre-Wimbledon Party. 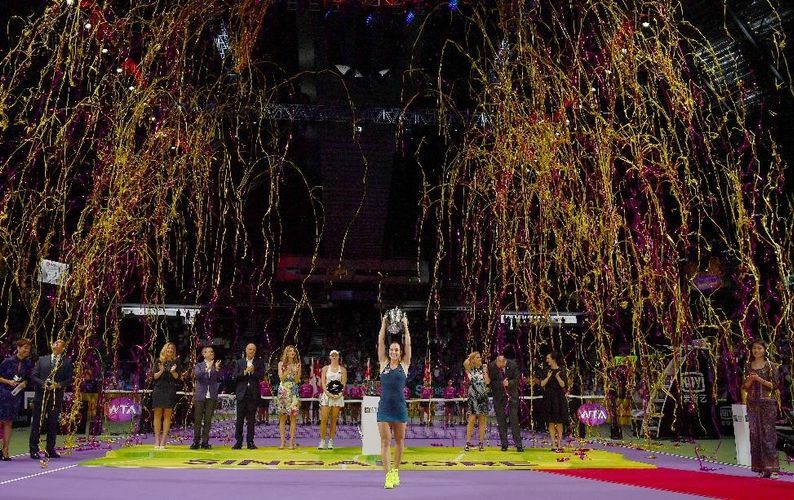 For more information on BNP Paribas WTA Finals Singapore presented by SC Global 2017's pre-sale promotions and contest, please visit wtafinals.com. Presented By SG Global 2017.